‘Organic’ wine: is it worth the label it’s printed on? More organic wines are being produced than ever, but who decides what is organic and how strict are the rules? European wines are governed by legislation introduced in 2012. Until then, a producer could only mention “wine made from organic grapes” on the label. The legislation includes, for the first time, practices in both vineyard and cellar. This sounds great, but many argue that the bar was set far too low. While maximum amounts of sulphur were lowered compared to ‘normal’ wine, levels up to 100mg/l for red wines and 150mg/l for white and rosé wines are still permitted. Copper spray is just about the only weapon an organic grower can use against disease. Until recently they could spray up to 30kg per hectare over six years, technically 5kg per year, but often more in wet years and less in dry vintages. This has now been lowered to 4kg per hectare every year, which may cause problems in wetter areas in the future. Most of us, I suspect, automatically think that organic wine is more natural, and in some ways it is. But it is worth taking a quick look at the regulations (see ecocert.com). Organic producers can still add yeasts, Diammonium Phosphate, tannins and oak chips (they don’t have to be organic) as well as being allowed to acidify, de-acidify, and add sugar. If you clarify with egg whites, isinglass or gelatin, these should be organic – when available it says – although if you add sugar or grape must, this must be organic. Does this really tally with our view of what organic wine should be? As one rather frustrated Irish importer said to me, “The sad thing is that everyone wants a quick and handy label, and that’s what they tried to achieve with the legislation. I understand that the “greater good” is to try and bring big companies around to the idea of organics as they are the biggest users of chemicals, so even a watered down version might have some merit . But does anybody really think that a cheap organic supermarket chicken is as good as the neighbour down the road who has them running around the field but yet has no certification?” On the other hand, some importers in the U.S. and elsewhere will only buy wines that are certified organic, leaving some producers with little choice. Many small artisan producers will tell you that they are organic but not certified. Either it is too expensive or the paperwork too laborious. The only guarantee is their name on the bottle. Should we believe them? Generally I do, as mostly they seem genuine and exhibit a real respect for their land. Another importer told me “I’d rather have wines certified organic for my house wines, as I know they must be using less chemicals, but for the others it is all down to trusting my producers”. At a tasting given by Marcos Fernandez, chief winemaker for Argentine producer Doña Paula, part of Santa Rita, said “We are now fully certified sustainable, which to me is more than organic.” His argument was that Certified Sustainable programmes encompass far more than simply what takes place in vineyard and winery, and follows the process from start to finish, and including energy use, recycling, environmental impact and long term sustainability. All Santa Rita Estates are now certified. In New Zealand 94% of vineyards operate under independently audited sustainability programmes – and over 10% of wineries are certified organic. Biodynamic viticulture is more of a philosophy or way of living, and many of its practitioners are the kind of people who resist regulation. The two biggest certifying organisations are Demeter and Biodyvin, but some growers disagree with their criteria. Perhaps the answer is to shop with people you trust? Growers are certainly using far less herbicides and fungicides – in the past the wine industry was on of the worst offenders. Even if the criteria for organic certification is weak, at least producers have to start the process. The use of sulphur and other chemicals must be at an all-time low and most producers are increasingly seeking to reduce unnecessary interventions. Yet if we keep demanding cheap wine, it seems inevitable that producers will have to resort to higher levels of (perfectly legal) manipulation. Organic but not certified. A full-on full-bodied wine bursting with rounded sweet dark plum fruits and a tannin-free finish. With a rack of lamb. Stockists: Cabot and Co, Westport, cabotandco.com; Grapevine, Dalkey, onthegrapevine.ie; PoppySeed, Clarinbridge, poppyseed.ie. 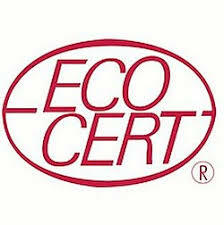 Certified Sustainable. Medium-bodied with nicely balanced dark fruits and spice with well-judged tannins on the finish. With a gourmet burger. Stockists: Tesco, tesco.ie; Dunnes Stores, dunnesstores.com; SuperValu, supervalu.ie. Uncertified biodynamic/organic. A charming, elegant, fragrant wine, with delicious juicy dark cherry fruits and very mild tannins. Lighter pasta dishes – cacio e pepe? Stockists: Sheridan’s Cheesemongers, sheridanscheesemongers.com; Morton’s, Ranelagh, mortons.ie; Green Man Wines, Terenure, greenmanwines.ie; siyps.com. Uncertified biodynamic/organic. Delightful floral aromas leading on to a rich but refreshing palate with clean mineral lines and subtle peach fruits. By itself or with fish; a mussel risotto? Stockists: La Touche, Greystones, latouchewines4u.ie; Ely 64, Glasthule, ely64.com; Baggot Street Wines, Baggot Street, baggotstreetwines.com; Blackrock Cellar, Blackrock, blackrockcellar.com; Clontarf Wines, clontarfwines.ie; Green Man Wines, Terenure, greenmanwines.ie; Martin’s Off Licence, Fairview, martinsofflicence.ie; Redmonds, Ranelagh; redmonds.ie; siyps.ie; The Corkscrew, Chatham Street, thecorkscrew.ie; the Wicklow Wine Co, wicklowwineco.ie. A quick quiz to temporarily silence the wine bore in your life; ask him (and it invariably is a him) what are Cirò, Sangue di Giuda, Sfursat, Rossese di Dolceacqua and Nero di Troia? The answer is they are all wines from Italy. Italy is a treasure trove of exciting wines from lesser-known regions and indigenous grape varieties made in unique styles. It has a range of soils and climates that allow it to produce a bewildering number of wines, and local traditions going back centuries. There are more than 400 different classifications and in excess of 350 indigenous authorised grape varieties (and 500 others in use), found in 20 different regions. It is no surprise that even the nerdiest wine nerd will have problems remembering them all. Italy is big in the wine world. Producing some 50 million hectolitres of wine each year, it vies with France as the world’s largest producer, responsible for almost a quarter of global production. When you remember that it runs from the wine-producing island of Pantelleria, a mere 60km from Tunisia, to the frozen Alps in the north, you can see why there is such amazing diversity. Sometimes it can be a disadvantage, as the rest of the world struggles to understand and appreciate all of these wines. Many wine drinkers simply stick to a handful of well-known names and ignore the rest. This really is their loss, as the standard of winemaking in lesser-known Italy has shot up in recent years. These four glorious “unknowns” will get your taste buds working in overdrive. Please don’t be afraid to try these, none cost more than €20. Italians love wines with good acidity and sometimes a slight bitterness – which makes them brilliant food wines. Rosso Piceno comes from the Marche region on the Adriatic coast, just north of the better-known Abruzzo region. Along with neighbours Rosso Conero and Lacrima di Morro d’Alba, the wines here offer excellent value for money. O’Briens Rosso Piceno must be made from a minimum of 60 per cent Sangiovese, the remainder Montepulciano. Marzemino is rarely found outside of Italy where it is primarily grown in the cooler alpine Trentino-Alto Adige region. The wines are light and perfumed with juicy sour cherry fruits. Neighbouring Friuli in the north-east corner of Italy, is responsible for many of Italy’s greatest white wines, as well as some light, elegant reds, this time from the local Refosco grape. Puglia or Apulia, produces massive quantities of wine, much of it of very average quality. Primitivo (aka Zinfandel) and Negroamaro are the two most popular varieties, but our featured wine is a little more recherche, featuring a blend of Nero di Troia and Aglianico, grapes unique to the south of Italy. Seductive, smooth, elegant red with toothsome red cherry fruits, a touch of spice and a dry finish. Great value for money. With roast pork or chicken. From Drinkstore, Manor Street, D7; Avoca Rathcoole; Mortons of Galway, 148 Salthill Road Lower, Galway; Red Island Wine Company, 64 Church Street, Townparks, Skerries, Co Dublin. Light refreshing red berries and strawberries with a lovely kick on the finish. Perfect by itself or with chicken or pork based salads. From Blackrock Cellar, 23 Rock Hill, Blackrock, Co Dublin; Clontarf Wines, 48 Clontarf Road, Dublin 3 ; Red Island Wine Co. Skerriesmpany, 64 Church Street, Townparks, Skerries, Co Dublin. Delicate aromas of violets, light juicy dark fruits, good acidity and a tannin-free finish. A delicious, inviting wine to serve cool with charcuterie and cheese. Bubbly, light, juicy dark cherry fruits with a supple rounded finish. A world away from the standard bruisers from this region. With tomato-based pasta dishes. I tasted a four really interesting sparkling wines over the last week, none of them Champagne. Instead, Italy (and not a Prosecco), the Czech Republic, Tasmania and Wales. Medici Ermete Lambrusco Reggiano Secco ‘Quercioli’ N.V. I love this wine – lightly fizzy, with mouth-watering sour plum and dark cherry fruits, finishing dry. The perfect aperitif to quaff alongside some salami, and other fatty cold meats and cheese. Krásná Hora , meaning “Beautiful Mountain”, is a biodynamic family-owned winery based in Moravia. I love the Blanc de Noirs Nature, a refined and elegant wine with a very seductive creamy texture, subtle and charming with a bone dry finish. €43 from Green Man Wines, Terenure, greenmanwines.ie. Yes, Wales. A biodynamic estate making some really interesting grown-up fizz. This is 100% Pinot Noir, a blend of 2013 and 2014, aged on the lees for two years. Lean and angular with precise ripe red fruits – strawberries; austere and bone dry (0% gl.) showing a lovely maturity – biscuits and brioche. Great finesse and a fine finish. At a dinner hosted by Robert Hill-Smith, owner of Yalumba and Jansz, I had a glass of this delicious sparkling wine. A blend of 55% Chardonnay and 45% Pinot, it has moreish ripe fruits that make it seem sweeter than the actual 8 g/l, subtle brioche and toasted hazelnuts finishing well. Very stylish wine that will arrive in Ireland soon. Not available in Ireland yet. The Premium NV Cuvée should be available from a few independents. The month of May, The Real Wine Month, will see a series of a wine promotions showcasing Organic, Biodynamic and Natural wines in wine shops, restaurants and wine bars around Ireland. The Real Wine Fair is a one-day wine fair celebrating artisan growers who farm organically or biodynamically and make wine with minimal interventions in the winery. Around 25 producers from all over the world, including Australia, Georgia, Spain, Italy, France, Oregon and Austria, will be pouring and presenting their wines. In addition, the fair will also feature food stalls showcasing the best of Irish artisan food. Consumers can attend from 4.30 pm. What are the best red wines for less than €15? Still feeling the pinch after Christmas spending? The search for bargain wines reaches an even greater intensity in the months of January and February. 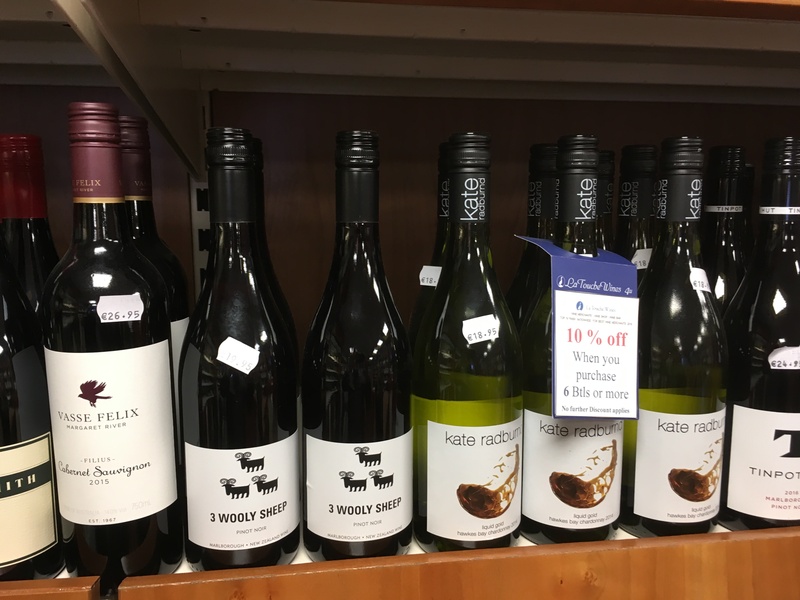 Wines that sell for less than €10 rarely offer genuine value for money, as more than 50 per cent of what you pay will go straight to the Government. Once you pay more than €10, you stand a chance of getting something decent. In recent months, I have urged readers to try their local independent wine shop or off-licence. Many were badly stung by below-cost selling by the multiples in the weeks before Christmas. This is their leanest time of year, so why not pop into your local indie and ask them to recommend a bottle of wine that offers real value for money? Most parts of Dublin are fortunate enough to have a decent local independent. Further afield it can be hit and miss. Although most retailers now offer an online service, specialists such as Wines Direct and Curious Wines, apparently we still prefer to buy our wine in a shop or supermarket. This week, I asked four independent retailers from outside the Pale to nominate their best value red wine for less than €15. The four wines chosen all come from regions well known as happy hunting grounds for bargain hunters: Spain, the Languedoc and Puglia. Lastly Michael Creedon of Bradley’s in Cork went with I Muri, Negroamaro at €14.95, as it consistently gets a positive reaction from our customers. “I think it’s because it offers many of those classic attributes we associate with Italian wines at a very approachable price.” Note some retailers will charge you €15.99. Elegant smooth harmonious red fruits, with a soft, easy finish. Chicken pork or tomato-based pasta dishes. Stockists: Grapevine, Dalkey onthegrapevine.ie; Cabot and Co., Westport, cabotandco.com; No1. Pery Square, Limerick, Oneperysquare.com; The PoppySeed, Clarinbridge, poppyseed.ie. A very seductive medium-bodied wine with floral aromas, soft ripe red cherry fruits and an easy finish. A great all rounder with most white or red meats, as well as firm cheeses. Stockists: Quintessential Wines, Drogheda, quintessentialwines.ie, Salt & Stove, D8, saltandstove.ie, The Hole in the Wall, Blackhorse Ave, Dublin 7: O’Leary’s, Cootehill. 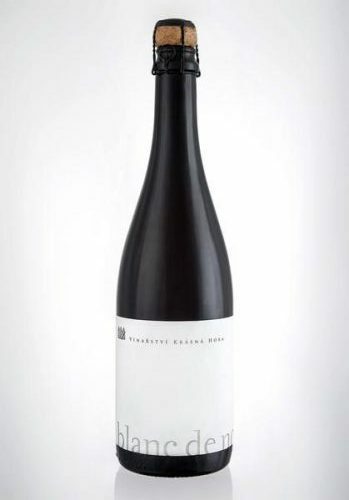 Full-bodied, with swarthy dark fruits – plums and blackcurrants, with spicy oak and a supple finish. With substantial meat and bean stews and red meats. Stockists: Worldwide Wines, Waterford, worldwidewines.ie: Blackrock Cellar, Blackrock, blackrockcellar.com; The Vintry, Dublin 6, vintry.ie; Fresh Stores, freshthegoodfoodmarket.ie; The Leopardstown Inn, leopardstowninn.ie; The Salthill Liquor Store, Galway; Mortons of Galway, Mortonsofgalway.ie; Clarkes SuperValu, Clarkes SuperValu, supervalu.ie. A richly flavoured medium-bodied wine with cherries, black fruits, liquorice and coffee with an underlying earthiness and a rounded finish. With spicy lamb dishes. Stockists: Bradleys Off-licence, Cork, bradleysofflicence.ie; The Vintry, Dublin 6, vintry.ie; Morton’s, Ranelagh, mortons.ie; The Wine Centre, Kilkenny, Thewinecentre.ie; Drinkstore, Manor St., Dublin 7, drinkstore.ie; McHughs, Kilbarrack Road and Malahide Rd., mchughs.ie; Redmonds, Ranelagh; Redmonds.ie; Power & Co. Fine Wines, Lucan; Power-wine.com; Blackrock Cellar, Blackrock, blackrockcellar.com. By my reckoning the Pant Du vineyard, just south of Anglesey, in north Wales, is about 120km from the coast of Co Wicklow. The principality now has more than 15 vineyards. 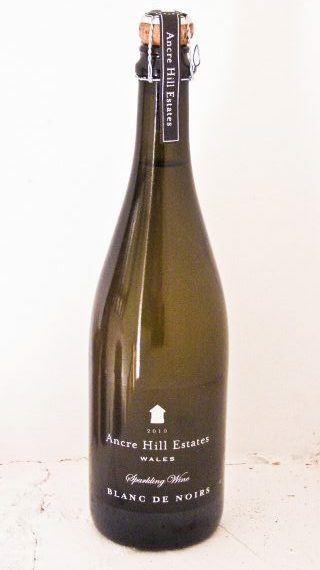 I have tasted some very good sparkling wines from one, Ancre Hill, in Monmouth. Will it be long before we have our own wine industry in Ireland? David Llewellyn (who also grows apples) was the pioneer over here, planting vines, under cover and outside, in the early 2000s. He released the Lusca 2016 Cabernet Merlot recently. He may soon have competition from Waterford, where David Dennison is working on his Irish wine, and Tipperary, where rumour has it that there are plantings of Frühburgunder. I was always taught that wine is the produce of fresh grapes, so the following three drinks probably cannot technically be called wine. But that doesn’t mean they aren’t very nice. Killahora Orchards, in Co Cork, has 108 varieties of apple and 36 of perry pear on the site of an ancient orchard. Barry Walsh and Tim and Dave Watson produce several ciders, a pommeau (a mix of apple juice and apple brandy) and an ice wine. Killahora deserves a whole article to itself, and I promise to address that later this year. Ice wine is made by picking frozen grapes and gently pressing them to extract sugars and other dissolved solids without the frozen water. Most is produced in Canada and Germany. It is possible to cheat a little and put fresh grapes in a freezer. More recently apple producers have been doing the same with frozen apples, making ice cider. The Killahora apple ice wine gently ferments for up to a year, making a wine with 11 per cent alcohol, lots of sugar and plenty of refreshing acidity. Kate and Denis Dempsey set up the Kinsale Mead Company two years ago. The idea came about after work trips to Portland, in the United States, where he got to know people making wine, cider, perry and mead. “It was always at the back of my mind: how come no one in Ireland is making mead?” Denis says. The Dempseys hope one day to be able to make all of their mead from Irish honey. At the moment they import honey from Spain. I have written about the Mónéir strawberry wine, from Wicklow Way Wines, before. Today I include its blackberry and elderflower wine, described to me by one member of the wine trade as tasting like a light Bardolino. Fragrant aromas of red cherries and black fruits; concentrated cassis and blackberries with good acidity and excellent length. Very moreish, attractive wine. Ours went well with pork. From Mitchell & Son, Dublin, Co Wicklow and Co Meath; La Touche, Greystones, Co Wicklow; Wines on the Green, Dublin 2; Bubble Brothers, English Market, Cork; Avoca, Dublin, Co Meath, Co Kerry, Co Wicklow and Belfast; Wicklow Wine Co, Wicklow; Quintessential Wines, Drogheda, Co Louth. Very seductive subtle flavours of honey and citrus, with a lovely clean finish. I enjoyed this with two firm cheeses, Comté and Caís na Tiré. From selected SuperValu; O’Briens; Dunnes Stores, Cork; Mitchell & Son; McCambridges, Galway; Ardkeen Quality Foodstore, Waterford; Wine Centre, Kilkenny; 1601 off-licence, Kinsale, Co Cork; Wines on the Green; Dollard & Co, Dublin 2; Martin’s, Clontarf, Dublin 3; Bubble Brothers, Cork. An explosion of flavours: toffee apples, baked spiced apples, honey and apricot. Crisp and acidic; sweet but not in the least bit cloying. Try it with tarte Tatin or apple pie. From Terroirs, Dublin 4; Baggot Street Wines, Dublin 4; Bradleys, Cork; McCambridges, Galway. Attractive, clean, light blackcurrant and redcurrant fruits, good acidity and a decent finish. Try with white meats and charcuterie. From David Llewellyn (087-2843879); Wines on the Green, Dublin 2; Mitchell & Son; Lilac Wines, Dublin 3; Le Caveau, Kilkenny; Little Green Grocer, Kilkenny; Searsons, Monkstown, Co Dublin; Green Man Wines, Terenure, Dublin 6W. The idea for this week’s article came about by chance; on a cold wet miserable January evening, I found myself yearning for something rich and warming to accompany a spicy stew I had cooked. I have been quietly suffering from a serious (aren’t they all?) bout of man-flu, and with my sinuses blocked, I couldn’t taste very much. This was not the time to sip at delicate light wines. I came across four wines, each from a different part of Catalonia in Spain. All shared two common traits. They were rich, full-bodied and powerful, perfect for cold weather drinking. All were 15 per cent or 14.5 cent (which could mean 15 per cent). It was a case of fighting fire with fire. I tried them out with various robust dishes, and not only did they actually taste of something, they also improved the food (and my mood) immeasurably. Back to lighter wines when the weather improves. All of these Spanish wines come from different mountainous sub-regions of Catalonia, back from the coast. They seem remote when you visit, yet most are only an hour or so from bustling, busy Barcelona. The second common trait in all four wines was a streak of refreshing acidity, not often found in full-bodied red wines. This is down to the varied soils and climate of these mountainous regions. The acidity provides a unique balance to the power and richness of the wines. If you do intend heading to Barcelona this year, avoid the crowds for a few hours and head up into some of the most spectacular vineyards of all. Whether it is the soaring, rugged mountains of Priorat, with their steep slate slopes, or the wild coastal hills of Empordà, these are areas well worth visiting. A trip last year with Catalan producer Torres to their new winery in Costers del Segre (with the wonderful name of Purgatorí) reminded me of the unique beauty of this part of the world – and how good the food can be. If you are visiting, Torres has estates in many of the sub-regions of Catalonia, including Priorat, Conca de Barberà, Penedès, and Costers del Segre, most of which offer tours and tastings. Pirorat (or Priorato in Castilian) is the best-known region, and certainly produces the most expensive wines, some of which sell for hundreds of euro, although the Mosaic below is an exception at an offer price of €15. The regions surrounding Priorat mentioned above produce wines that are usually far less expensive and can offer far greater value for money. As you will have gathered, these are not wines for sipping before dinner. But with substantial dishes such as curries, barbecued meats and winter braises, they deserve a place at your table. Powerful and earthy with maturing ripe red cherry fruits, and a rounded soft finish. With a rich hearty beef stew. Stockists: Jus de Vine, Portmarnock, jusdevine.ie; JJ O’Driscoll, Ballinlough, jjodriscoll.ie; Deveneys, Dundrum; The Hole in the Wall, Dublin 7. Powerful, muscular with savoury licorice and spicy dark fruits. It went well with my spicy Mexican beef and bean casserole. Stockists: SuperValu, supervalu.ie; Centra, Centra.ie. Full-bodied but deliciously smooth and opulent, with rich dark fruits, plenty of spice, and well-integrated tannins on the finish. The Acústic red (€22) is also well worth trying. With barbecued beef. Stockists: Bubbles Brothers, the English Market, Ballintemple, Cork, bubblebrothers.ie; Urru, Bandon, Urru.ie; J.J. O’Driscoll, Ballinlough, jjodriscoll.ie. How are you getting on with your dry January? Alcohol is something of an occupational hazard for a drinks writer; it is my job to drink, or at least taste, the stuff on a very regular basis. Mine is one of the few jobs that permits you to pour a glass of wine, whiskey or beer at 9.30am. While most of us dutifully spit out everything we taste, I know that a little alcohol passes into my bloodstream with every mouthful. Hence I never drive to tastings, and keep a close eye on my consumption. I have no problem with the concept of a dry January, but it is not really practical for a wine writer. Instead I try to avoid alcohol, when possible, for the first three days of each week throughout the year. Padraig O’Morain’s thought-provoking article in the Irish Times health supplement on dry January rang a few bells for me. My own trigger is to pour a glass of wine at about 6.30pm, when I start preparing dinner. When I first cut out drink, I avoided this impulse by making dinner earlier, by having much simpler, easy-to-prepare meals or by having a soft drink instead. One of the biggest problems with going dry is what to drink instead. Leaving aside the effect it has on your senses, alcohol does actually make a drink much more complex and interesting. I have never enjoyed sweet fizzy drinks, and while I like water, it can become a little boring after a while. Non-alcoholic wine, led by Torres Natureo, has become so much better, as have alcohol-free beers. Seedlip leads the way as a gin alternative. The range of soft drinks has expanded hugely in recent years so there are plenty of options, many of them made here in Ireland. For me kombucha and water kefir are probably the most interesting. You can make them at home, providing you can get hold of a scoby, but there are plenty available in our shops and supermarkets. However, making your own drinks is so much more fun and not at all difficult. It may seem strange but vinegar makes a great base for homemade cocktails; a few teaspoons of the exquisite Irish-made Wildwood balsamic vinegars, or any of the great Irish cider vinegars (I love The Apple Farm or Llewellyn) add a savoury tang to any drink. My current favourite is made simply by leaving a few sprigs of rosemary to macerate in water (still or sparkling) for a few hours in the fridge, sometimes with a few slices of lemon or lime and a teaspoon of vinegar. If I am feeling summery, slices of cucumber and fruit, fresh mint and other herbs make for a fantastic, interesting refreshing drink. Intense fresh crunchy redcurrant fruits with a lightly funky spicy dry finish. Very refreshing. Not cheap but delicious. With no calories or sweeteners, this is the least expensive of the drinks featured. Brewed in Co Mayo, this is very pleasant; an effervescent, fragrant drink with light tannins on the finish. Josko Gravner and his amphorae. Did our forefathers know best? The last few decades have seen huge changes in the way wine is made – large, modern wineries that look more like chemical plants, with massive columns of stainless steel joined together by a bewildering number of large pipes. A huge amount of science and technology has gone into making large quantities of consistently drinkable wines. And yet a growing band of winemakers are shunning all of this knowledge and retreating back to the very beginning of wine for their inspiration. 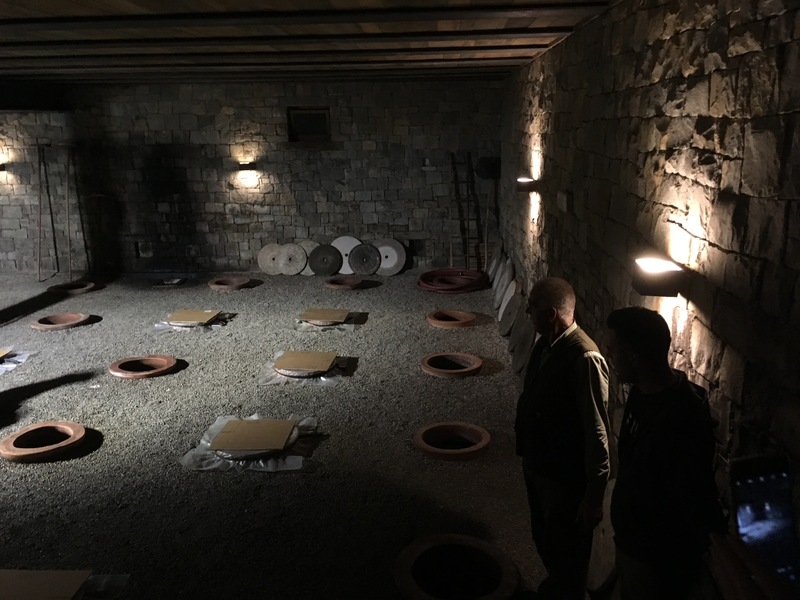 There have always been a few wineries around Europe still using clay amphorae containers – I have a picture somewhere of me sitting in a large one cut in half in a cellar in Portugal. But the recent trend started with Josko Gravner, an Italian/Slovene producer, who wanted to make more natural wines, and to improve the quality of his local grape, Ribolla Gialla. He began by fermenting wine on the skins, producing what is now known as orange wine (although Gravner prefers the term amber, “it is more bright, more alive, more concentrated”). He visited Georgia, the cradle of winemaking, where not only did they ferment wine on the skins, but they fermented and aged the wines for lengthy periods in very large (1,200-2,500-litre) clay amphorae, usually lined with beeswax. This is the oldest method of winemaking known to man, first used in Georgia and neighbouring Armenia somewhere between 5,000 and 8,000 years ago. Remarkably, they were still doing so, despite Soviet disapproval. According to Alice Feiring in her book on Georgian winemaking, For the Love of Wine, there were once hundreds of qvevri (amphora) potters, but that number had recently dwindled to three. As demand worldwide has rocketed, I feel sure others are in training. Qvevri and qvevri winemaking now has Unesco World Heritage status. Gravner bought some amphorae back to Italy, buried them in the ground below his cellar, and began using them to ferment and age his wines. Other winemakers in the northeast of Italy and Slovenia started doing the same, soon followed, it seems, by half the world’s winemakers. The traditional method in Georgia was to lightly crush the grapes (sometimes by foot) and put juice and grapes into the qvevri, where it will start fermentation and the second malolactic fermentation. The amphora provides a natural and consistent temperature control; the shape is said to aid gentle circulation and clarification, and the wine is given a gentle oxygenation. Amphorae have been used to make, age and transport wine for thousands of years. Today some winemakers ferment in clay, other simply age the wine for a few months in amphorae. I am not sure I could pick out a wine that has received a little clay treatment, but it is fun to drink a little living history. On of my all-time favourite M&S wines, made in clay amphorae in Montilla-Moriles, it is an utterly delicious, vaguely sherry like (but unfortified) wine with delicate toasted nuts, green olives and plump apricot fruits, finishing dry. Amazing value for money. Aged in century-old Spanish clay amphora, this is another favourite of mine. The latest vintage is the best yet, brimming with delicious ripe savoury damsons, some dried herbs and a refreshing acidity. Great with roast chicken. Stockists: Ely 64, Glasthule, Ely64.com; Jus de Vine, Portmarnock, jusdevine.ie; Green Man Wines, Terenure, greenmanwines.ie; Searsons, Monkstown, searsons.com; Clontarf Wines, clontarfwines.ie; Baggot Street Wines, Baggot Street, baggotstreetwines.com; Blackrock Cellar, Blackrock, blackrockcellar.com; Bradleys Off-licence, Cork, bradleysofflicence.ie; Worldwide Wines, Waterford, worldwidewines.ie; Kellys, Clontarf, kellysofflicence.ie; and The Wicklow Wine Co., Wicklow, wicklowwineco.ie. Iago Bitarishvili Chinuri 2017, Chardakhi, Central Georgia: lemon peel and marmalade. Pithy textured tannic lemon peel and marmalade, with lovely slightly funky earthy fruit, very good acidity and a long dry finish. Stockists: Le Caveau, Kilkenny, lecaveau.ie; Green Man Wines, Terenure, greenmanwines.ie; and The Corkscrew, Chatham St., thecorkscrew.ie. Gravner Bianco Breg 2009, IGT Venezia-Giulia: ripe, rich and spicy. Ripe, rich and spicy, with orange peel, dried apricots and figs. Long and quite luscious, although there is still plenty of acidity. Fascinating wine. Stockists: Sheridan’s Cheesemongers, South Anne Street, Kells, Co Meath, Galway, sheridanscheesemongers.com; SIYPS.com; Ely 64, Glasthule, Ely64.com; and Green Man Wines, Terenure, greenmanwines.ie. First published in The Irish Times, 22nd December, 2018. It may be the cold weather or simply we associate them with the festive season, but retailers tell me that sales of fortified wines increase exponentially as Christmas nears. Fortified simply means the wine has been beefed up with a little more alcohol, although the Montilla-Moriles below achieved 17 per cent simply through evaporation over the years. This was originally done to stabilise the wines before they were shipped around the world. Some fortified wines are sweet, but many are bone dry, and are better drunk alongside savoury foods, notably cheese, cold meats and nuts, but lots of other dishes too. They include some of the greatest wines of all. Over the past few months, I have tasted some of the finest fortified wines that I have come across in years. The intensity, the range and depth of flavours of some have been quite amazing. I covered Port earlier this year, so today, sherry, its neighbour Montilla-Moriles, and Marsala. Two supermarkets seem to be taking sherry seriously. Marks & Spencer has a very good range, including its excellent Very Rare Palo Cortado (€12 per half bottle), while Aldi has the very tasty Aldi Exquisite Collection Dry Amontillado Sherry for a bargain €7.99 for a 50cl bottle. Elsewhere, Mitchell & Son has a mouth-watering display of half bottles of Lustau sherries, as well as a grown-up size bottle of la Ina Fino, one of the best-value wines in the country. Hats off to O’Briens which recently took delivery of a range of fortified wines from Montilla-Moriles, an area beside Jerez. The wines are spectacularly good. My favourite was probably the stunning Marqués de Poley Amontillado Viejísimo 1922 at €43.95 for a 50cl bottle but I have also sipped very happily away at the Oloroso below. Winemaker Ramiro Ibáñez gave one of the most fascinating talks and tastings of the year. Under the Cota 45 label, he produces a series of unfortified aged wine, as well as some very excellent sherries. The Fino Balbaina Alta below may seem expensive at €40, but it is one of the most delicious wines I have tasted all year. Anyone looking for the perfect Christmas gift for the sherry lover in your life should look no further. I also tasted four excellent sherries from Barbadillo, including its fresh dry Manzanilla Pasada en Rama (€14 per half bottle) and three superb older wines – the Principe Amontillado, Cuco Oloroso, and Palo Cortado Obsipo Gascon (all €60 per half). All are available from Jus de Vine, Deveney’s, and O’Driscoll’s, Ballinlough. Lastly New Zealand Wine will be holding its annual tasting on January 14th at the Radisson Blu Hotel, Dublin, 6:30pm-8:30pm. Tickets (€15) from iti.ms/2zSkTWI or contact Jean Smullen on jean@jeansmullen.com; tel (086) 816 8468. Complex, tangy, bone dry wine with hazelnuts, toasted almonds, orange and old woody notes. Delicious served lightly chilled with mixed cheeses or the perfect adult stocking filler. Stockists: Mitchell & Son, chq, Sandycove, and Avoca, Kilmacanogue and Dunboyne, mitchellandson.com; The Vintry, Dublin 6, vintry.ie; D-Six Wines, Dublin 6; peggykellys.ie; Bradley’s Off-licence, Cork, bradleysofflicence.ie; La Touche, Greystones, Latouchewines4u.ie. Toffee and butterscotch mixed with toasted hazelnuts, walnuts and bitter orange. Fresh and lively with a dry finish. Wonderful wine. With cheese and walnuts. Light toffee and caramel, with dried fruits, figs, sultanas and raisins. Sweet but not sickly. A small glass, served chilled, with mince pies, Christmas cake, plum pudding or hard cheeses such as Parmesan or a nice sharp Pecorino. Stockists: Redmonds, Ranelagh; Redmonds.ie; Searsons, Monkstown, searsons.com; Wineonline.ie; World Wide Wines, Waterford, worldwidewines.ie; 1601 Off-licence, Kinsale; The Corkscrew, Chatham St, thecorkscrew.ie. An utterly astonishing wine, deep in colour with fresh clean grilled almonds, intense savoury saline flavours that last for minutes after you have swallowed. Enjoy lightly chilled by itself or with some of the highest quality Iberico ham. Stockists: Green Man Wines, Terenure, greenmanwines.ie; 64 Wine, Glasthule, 64wine.ie.